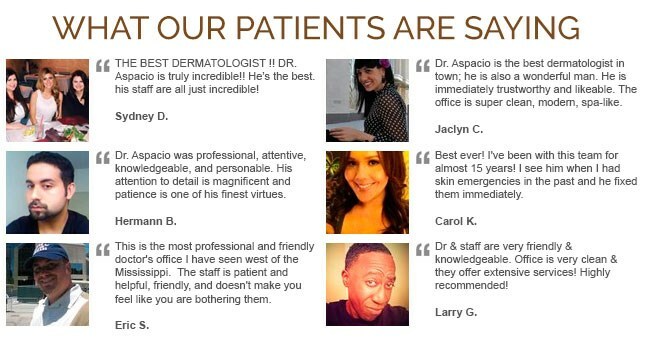 Doctor Aspacio is an experienced practitioner and teacher of cosmetic and medical dermatology, in addition, he and his staff often refer to different organizations and companies for added information. Always keen to share our knowledge and experience, we link to these websites here. Explore these links to learn more about the various procedures and products we use. All of these are valuable resources for anyone investigating the most common skin conditions. Education is the first step to healthy skin, and we encourage you to investigate your skin conditions independently.